There are different crypto millionaires around the world. Some of them have invested in several virtual currencies, and have stored their private keys and seeds in very secure places, sometimes very difficult to find. But the recent death of Matthew Mellon, an important crypto investor, raises concerns about how to deal with big crypto fortunes of individuals that pass away. 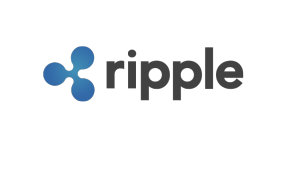 Apparently, he had a $500 million dollars’ worth of Ripple that may now be lost forever. Apparently, the crypto millionaire held over $500 million dollars that were invested in Ripple and stored in different cryptocurrency wallets, including exchanges, hardware wallets, and desktop wallets. Before his death in April, he had addiction problems and was searching for assistance in different places. But until now, the cause of his death remains unknown. The investor started to be involved in the cryptocurrency world when he invested $2 million dollars in XRP when the industry was still in its infancy, and when everyone was calling it a scam. At the same time, he knew that it was a risky investment. He was able to earn $1 billion dollars in XRP value at the all-time high for his investment. According to some of the experts that estimate his fortunes, we may have between $250 and $500 million dollars that may have been lost forever. Additionally, his private keys have been stored in different locations in the US, and in cold storage wallets. “It’s $1 billion virtually for free. I actually have earned it because I was the only person who was willing to raise his hand. My family thought I was insane, when I knew it was a home run,” he commented while talking with the press. It is always important to inform family members or people that we totally trust about what to do in case of an accident, or difficult situation like the one experienced by Mr. Mellon. If further measures are not taken, the cryptocurrencies held may be lost forever.